Milwaukee Opportunities: What is a SWOT Analysis? The acronym SWOT, as the image below demonstrates, stands for strengths, weaknesses, opportunities, and threats. 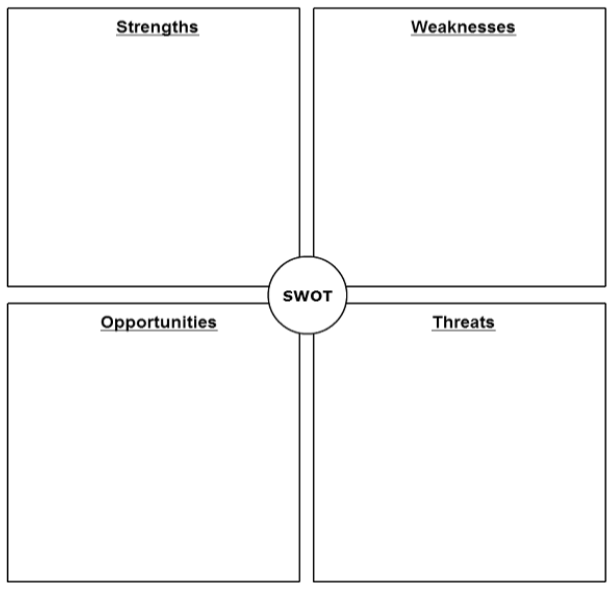 A SWOT analysis helps an organization take stock of current and potential challenges facing it, as well as areas that it can capitalize on in the marketplace. 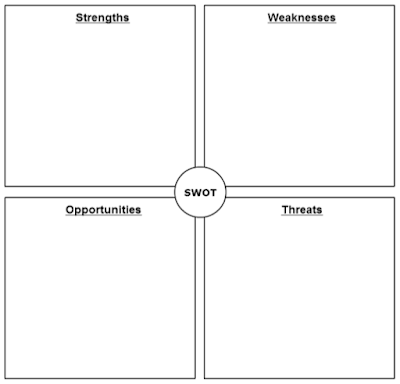 While perhaps most powerful as part of a broader strategic planning process, a SWOT analysis is still certainly an effective tool as a stand-alone exercise, as well. Conducting this analysis for your business or organization can be as simple as taking out a single sheet of paper and drawing a cross in the middle of it so as to make a four-part grid, like you see below. Strengths and Weaknesses are factors that are internal to your organization, while Opportunities and Threats are external factors. The key for this exercise to be helpful is sheer honesty. It’s important to be honest with yourself and not downplay any of your organization’s weaknesses and threats. Likewise, you don’t want to exaggerate its strengths and opportunities. By going through an honest SWOT analysis, you will have a clearer picture of where your organization is currently at, and from there, you can begin to create effective action plans for reigning in areas of concern, as well as start capitalizing on those strengths and opportunities that you have.